A visit to the Franklin Delano Roosevelt Memorial is to be transported to a trying time in American history, an era rife with economic depression and international conflict. 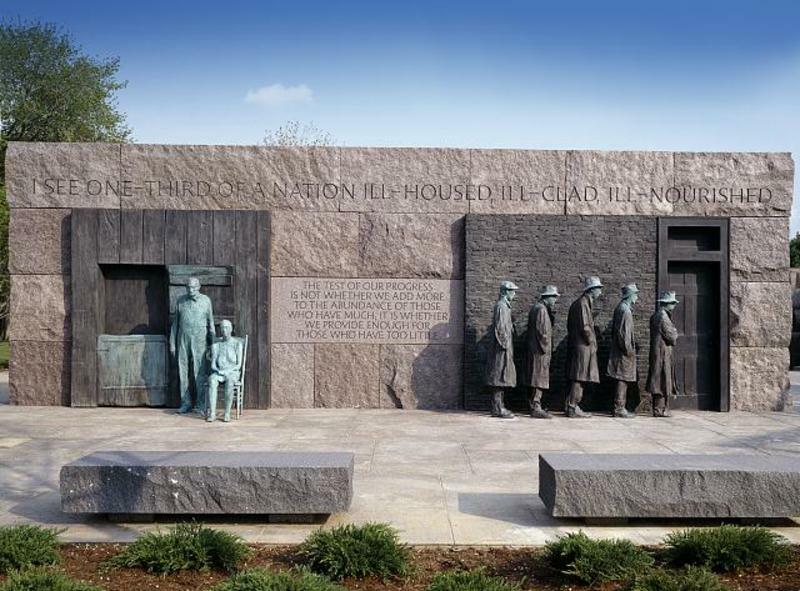 The memorial, which honors the 32nd president of the United States, is composed of four “rooms” which represent each of President Roosevelt’s four terms as commander in chief. 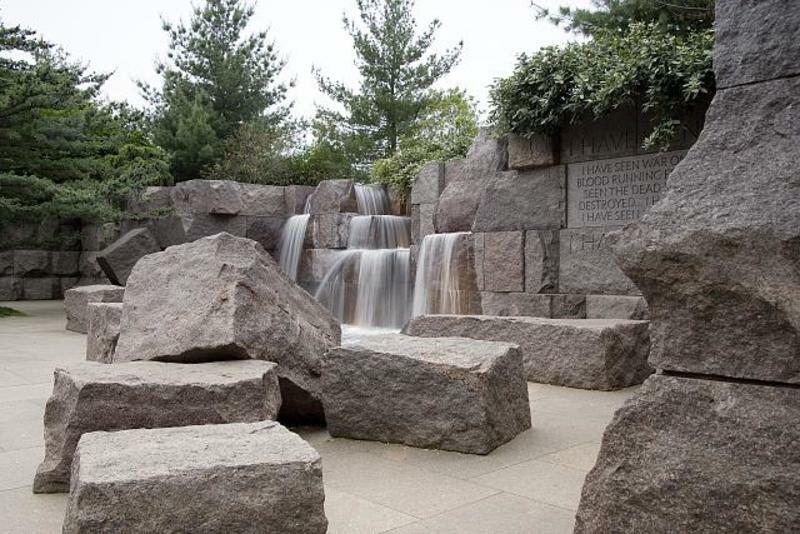 Like all the monuments and memorials on the National Mall, the FDR Memorial is free and open to the public. The most convenient way to get to the memorial is by taking the Metrorail. The two closest Metro stops are Federal Triangle and Smithsonian, both on the Blue, Orange and Silver lines. If traveling by bus, take DC Circulator’s National Mall route or ride Metrobus routes 32, 34 or 36. If driving, visitor parking is available on Ohio Drive, between the Lincoln and Jefferson memorials. Handicapped parking spaces are set aside at locations on West Basin Drive in front of the memorial. Note that street parking is often limited in DC. National Park Service Rangers are on hand to assist visitors daily from 9:30 a.m. - 10 p.m. and provide interpretive programs throughout the day and upon request.